You can feature the pedal in the top, in the middle, or at the bottom of the chords. Next, try adding the B in the middle of all those chords. 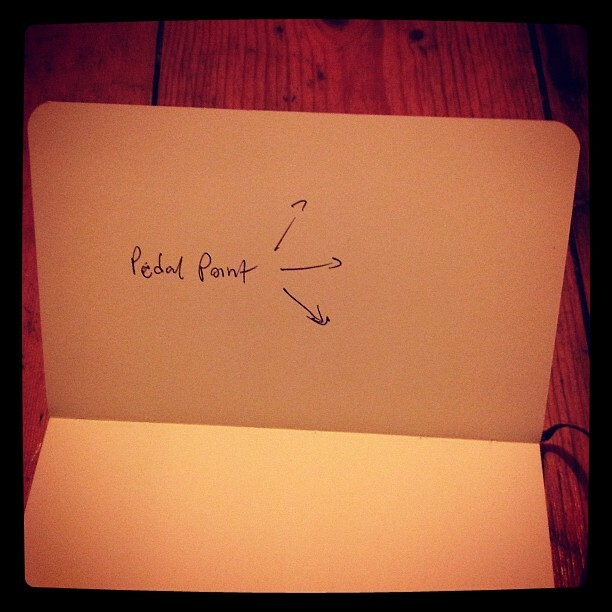 To reveal that inner pedal point you’ll want to play the B first, then the chord. And then repeat that for all the chords. 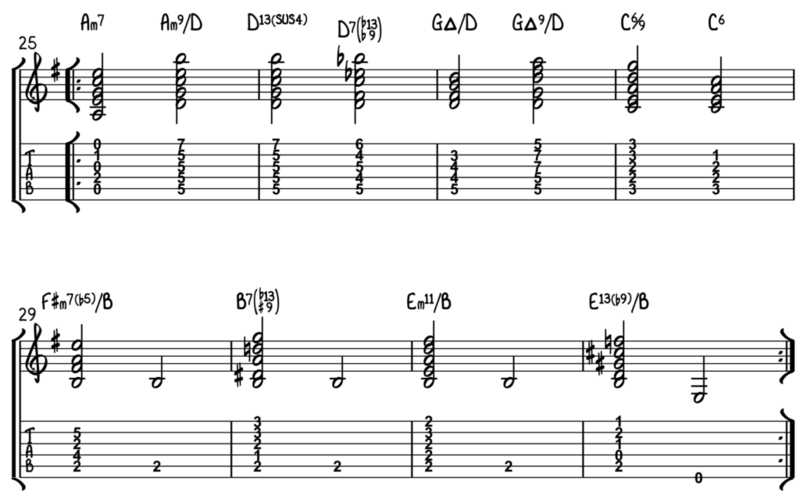 For the lower pedal point you could play all those chords over an E bass note. You’ll want to hear all the chords as aiming for the E minor chord. That’s your aural target. Or you could try a D pedal for the first four chords, and then a B pedal for the last four. This is a common thing to do. You’re taking the bass note of the dominant 7th chord and using it under all the chords in that cadence. So Am7 D7 G∆ becomes Am7/D D7 G∆/D. So see if you can use these ideas to add tension to your chord progressions and arrangements. Remember, you could also just play your normal voicings and have the bass player provide the pedal point. Do you have any favourite tunes that use pedals?